As if you needed a reason to drink, the Bard’s 450th birthday is being toasted all around town. 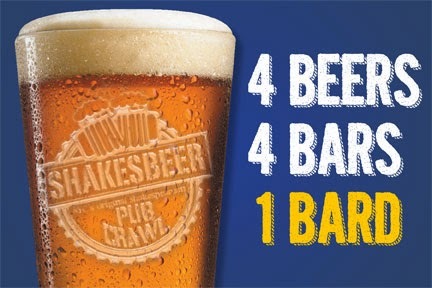 The New York Shakespeare Exchange (NYSX) originated the beer and performance festivities, aka ShakesBEER, along with The Sonnet Project, as a way to infuse our culture with the classical. They want to bring Shakespeare alive to a modern audience. ShakesBEER is a three hour pub crawl, with scenes from the Shakespearean repertoire breaking out at each location. October’s ShakesBEER features scenes from A Midsummer Night’s Dream; Henry IV, Part 2; Romeo & Juliet; and Twelfth Night. The featured actors, who will be cheek by jowl with you, include Harry Barandes, Chris Corporandy, Phil Mutz, Sarah Nedwek, Katherine Puma, Colin Ryan, and Katelin Wilcox. There are so many things you could debate after enjoying your ShakesBEER outing: Was William Shakespeare the Neil Simon, Arthur Kopit, Arthur Laurents, Eugene O’Neill and Arthur Miller rolled into one of his generation? 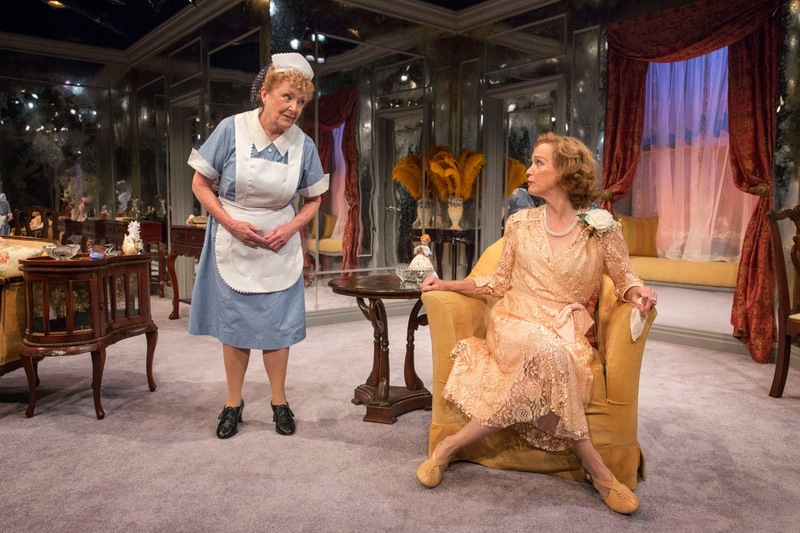 Has any contemporary playwright come along to rival his efficacy in conveying the human condition? Did Marlowe write Shakespeare? 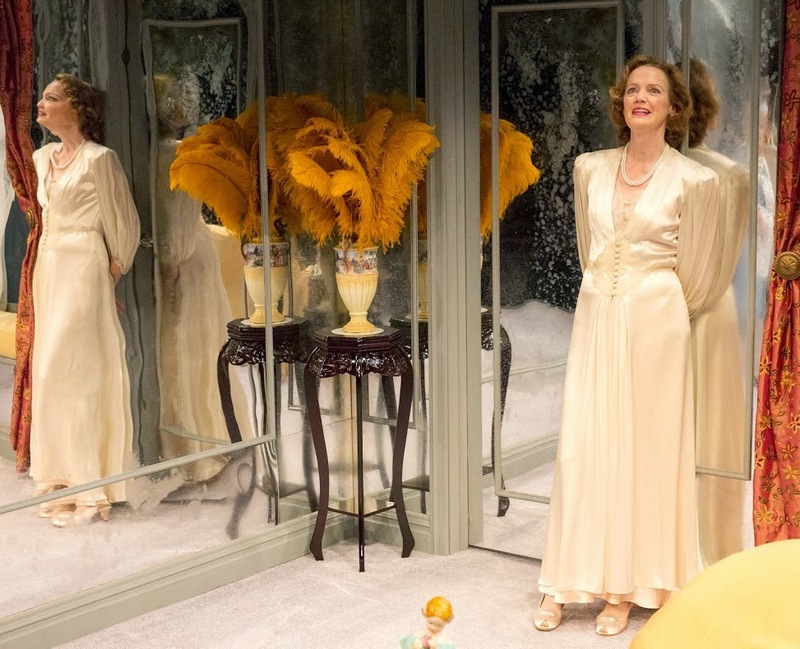 Why isn’t Tamberlaine performed more often? Is Lear or Hamlet WS’s most iconic hero? Are his comedies funnier than The Big Bang Theory? Book in advance for ShakesBEER. A schedule of the October outings can be found here: http://shakespeareexchange.org/content/shakesbeer-2014. The intoxicating mix of "Bootycandy"
through October 12th. Photo (c) Joan Marcus. 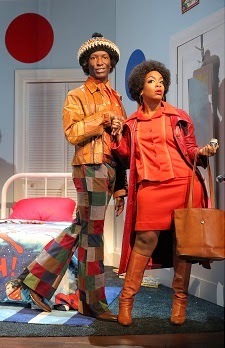 To say “Bootycandy,” written and directed by Robert O’Hara, at Playwrights Horizons through October 12th, is brilliant is an enormous understatement. It’s hard to say which episode of the seven vignettes O’Hara created was funnier, brighter, crisper as “Bootycandy” unrolled. Suffice it to say that each segment, standing alone, had its own kind of sparkle. If there are not enough roles (and you know there are not) for black actors to display their talents, Robert O’Hara has tried to remedy the deficit, providing ample opportunity for this wonderful group of players to shine. 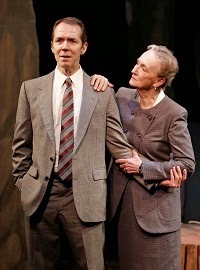 In a phenomenally talented cast, with Phillip James Brannon taking the lead as Sutter, it is hard to pick a stand out. All these men and women put themselves whole-heartedly before us. 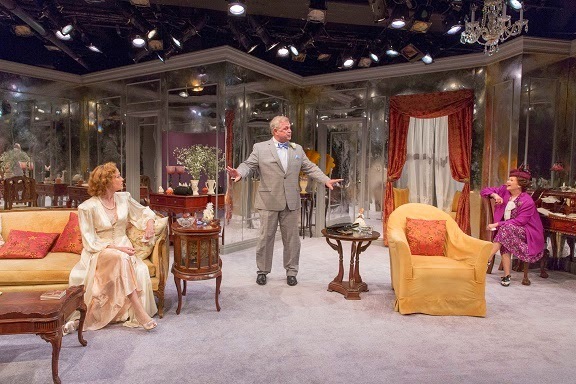 In one uprroariously funny and incisive scene, Jessica Frances Dukes and Benja Kay Thomas dazzle as they play four disparate characters. The one white performer, (Jesse Pennington) in the ensemble of five gets to strut his stuff too, playing a range of parts. “Bootycandy” exposes both its process and artifice as the chapters of Sutter’s life emerge and merge as one. Sutter’s progress from boy to man in a homophobic world is about sense and sensuality. “Have you lost your mind in the real world?,” is a phrase his mother inherits from his grandmother, and uses to answer many of his life questions. Robert O’Hara’s “Bootycandy.” Photo by Joan Marcus. ‘I don’t write about white people,” Sutter says definitively in the “Writers Conference” sketch that closes out Act I. Sutter, the stand in for the author, is a mixture of innocence and understanding. O’Hara, too, writes about all people. 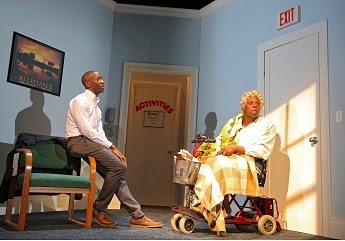 His central character happens to be a young gay black man, finding his way. 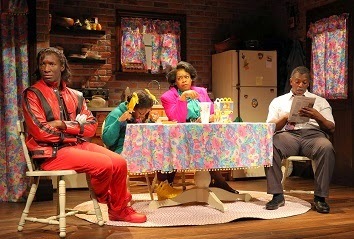 Sutter (Phillip James Brannon) with his sister (Benja Kay Thomas), mother (Jessica Frances Dukes) and stepfather (Lance Coadie Williams) in a scene from Robert O’Hara’s “Bootycandy.” Photo by Joan Marcus. “Bootycandy” is a heady cocktail of styles and wisely observed details. The fact that its humor is gently satirical does not mean that it lacks bite and insight. 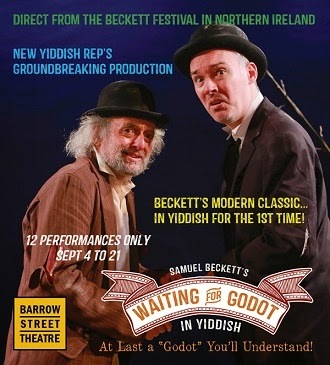 Did we mention that Robert O’Hara’s play is brilliant? It truly is. For more information on “Bootycandy,” please visit www.PHnyc.org. Who was Rudolf Bauer? and "Boys and Girls"
Why would a prolific modernist painter suddenly stop making art? 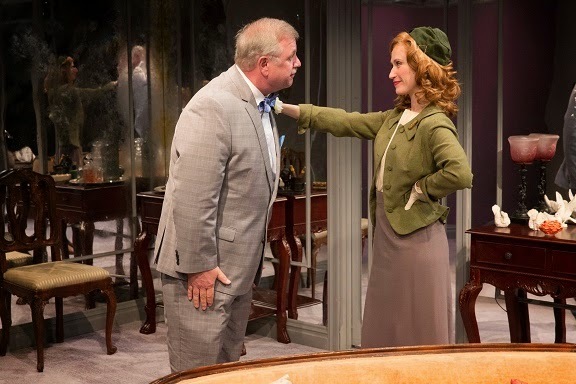 “Bauer,” Lauren Gunderson’s drama at 59E59 Theaters through October 12th, is based on a true art mystery: what made Rudolph Bauer (Howard Sherman,) the leading modernist of his generation, quit? He abandoned his legacy to Kandinsky, who is better known today as a master of modern art. Did Hilla Rebay (Stacy Ross,) once the love of Bauer’s life, betray him when she made him sign over all his work and his future artworks to Solomon Guggenheim? 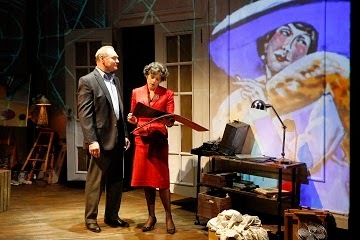 The play begins thirteen years after Bauer began his self-imposed exile in New Jersey. His wife, Louise (Susi Damiliano) has engineered a meeting between the former lovers who have not spoken in all those years.Modern art was in defiance to the Nazis, who abhorred it. Bauer seemed to like to defy. Guggenheim was his patron, who not only rescued him from the Nazis but also gave him a house, a Dusenberg, and a stipend, none of which satisfied Bauer. It seems like there should be drama in the anticipation of this meeting. Will they resolve their difference? Can Bauer return to his easel and create new masterworks? Despite decent performances, it’s hard to get engaged in Bauer’s ruined career or his motives. As Louise, Susi Damiliano gives a resilient performance. Howard Sherman is convincing as the stubborn and perhaps broken artist. However, as the story unwinds, it barely keeps our interest. 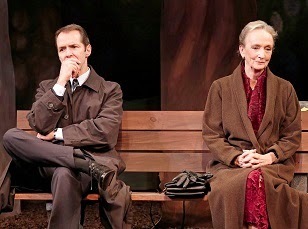 as his wife Louise (Susi Damiliano) stands by in Lauren Gunderson’s “Bauer” at 59E59 Theaters. Photo by Carol Rosegg. 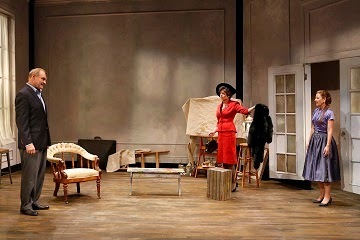 “Bauer,” originally produced at the San Francisco Plyhouse, is mostly talk, although the staging attempts to enliven. There are some nice projections (design by Micah J. Stieglitz, with scenic design by Ewa Muszynska), showing the artist’s work and setting recollections. The Weinstein Galleries are showing of Bauer’s art to coincide with the New York production of the play. Sotheby’s is auctioning off works by Bauer from September 22nd to October 10th. 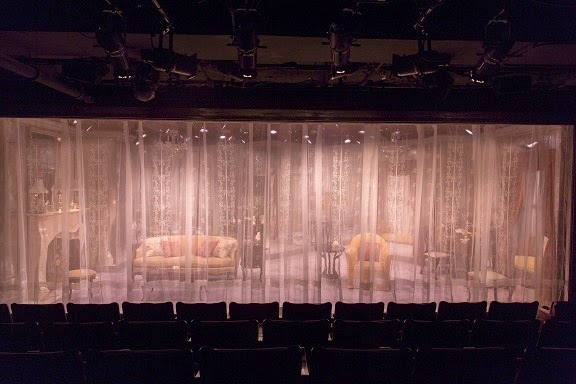 Also at 59E59 Theaters: “Boys and Girls,” written and directed by Dylan Coburn Gray, is part of Origin’s 1st Irish 2014. Confessedly, it was the promise of the risqué that brought me to the theater, and the failure to fulfill it that had us take an early departure, not awaiting the climax as it were. “Boys and Girls” is billed as being “naughty” — if having a young and pretty girl utter the dreaded “c” word can be considered ribald, then “Boys and Girls” is that. 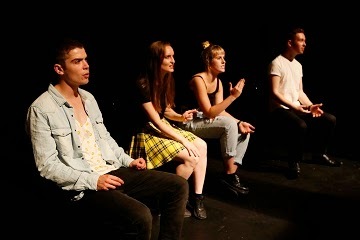 The format of the play is a series of monologues in which the eponymous quartet take turns telling their love stories. Sweet young foul-mouthed things they are, too.